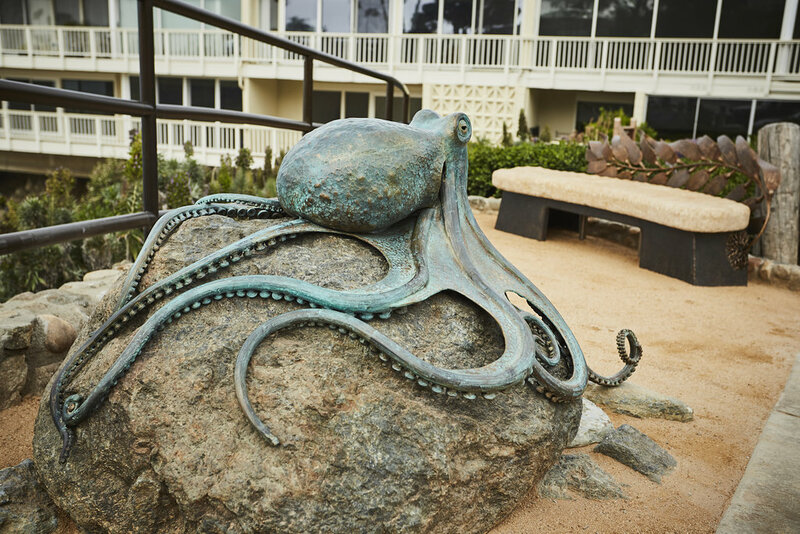 “Strand of Life,” is a bench that is paired with a large bronze octopus sculpture (“Tide Pool Kraken”) set in its view. 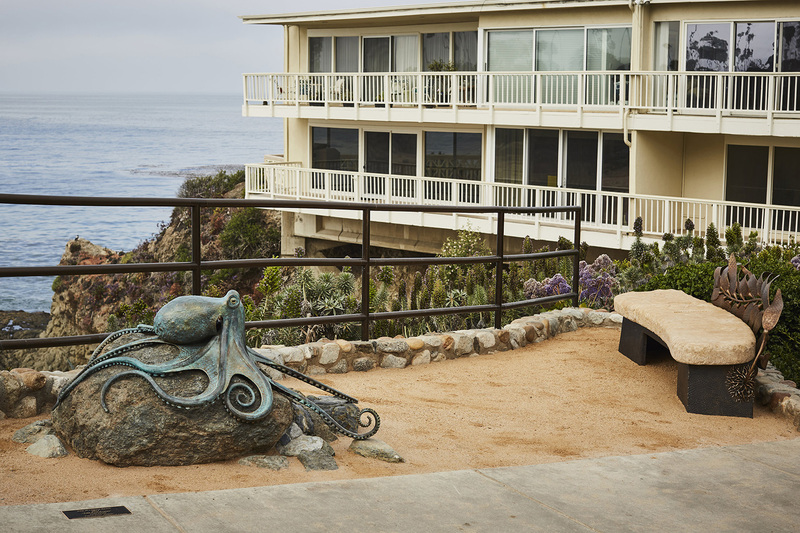 The two sculptures constituted a special commission by a private party who donated the works to the city of Laguna Beach. 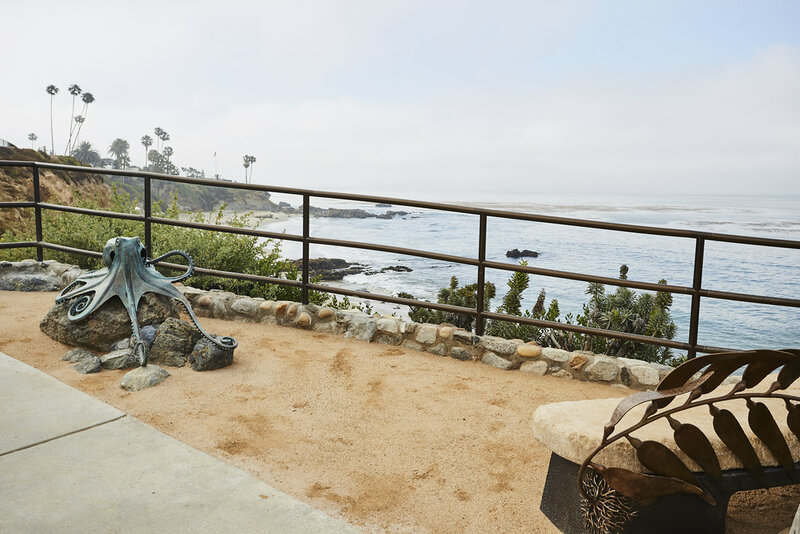 This installation is located along my favorite stretch of coastline – the north end of Heisler park on the bluff overlooking Divers Cove. 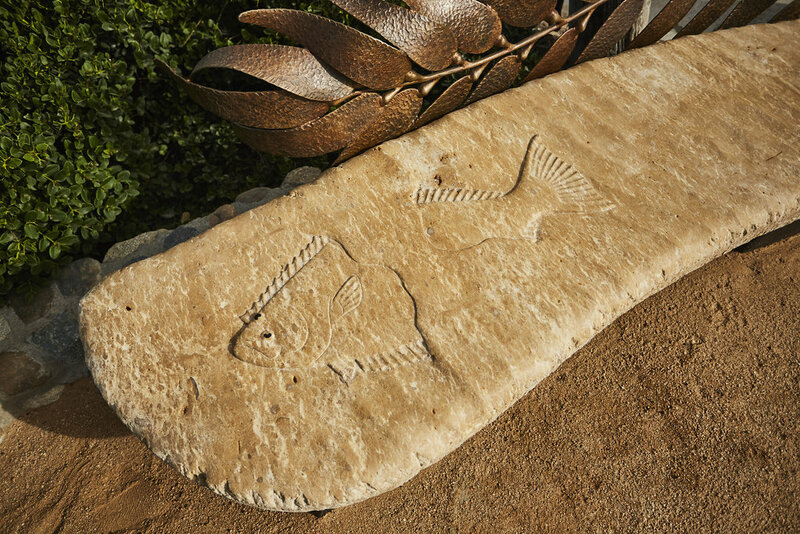 The kelp in this piece represents a family tree. 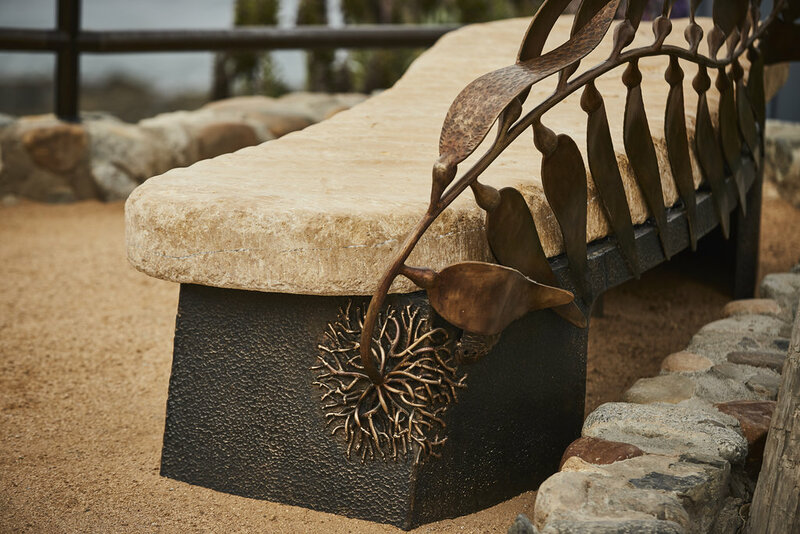 In the same way that the kelp connects all the elements of the bench, this sculpture connects family members from the past with present and future generations. 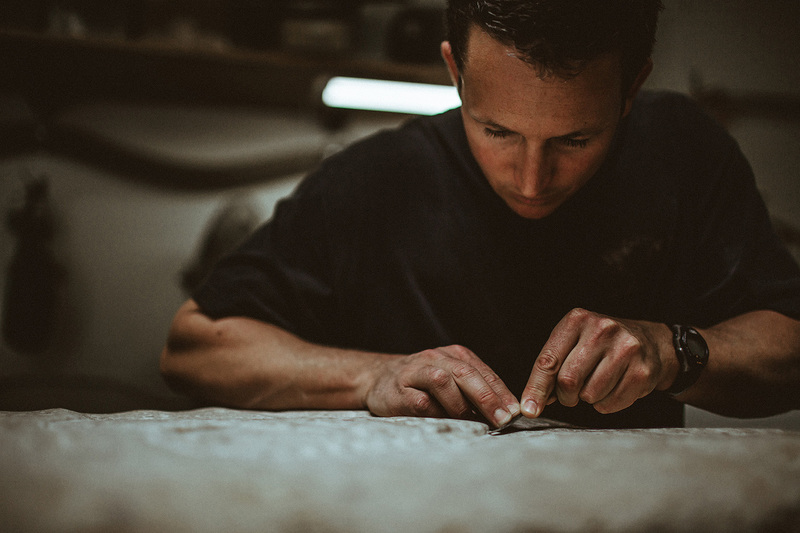 The kelp and hidden abalone are made from bronze that has been hammered, forged, and welded. 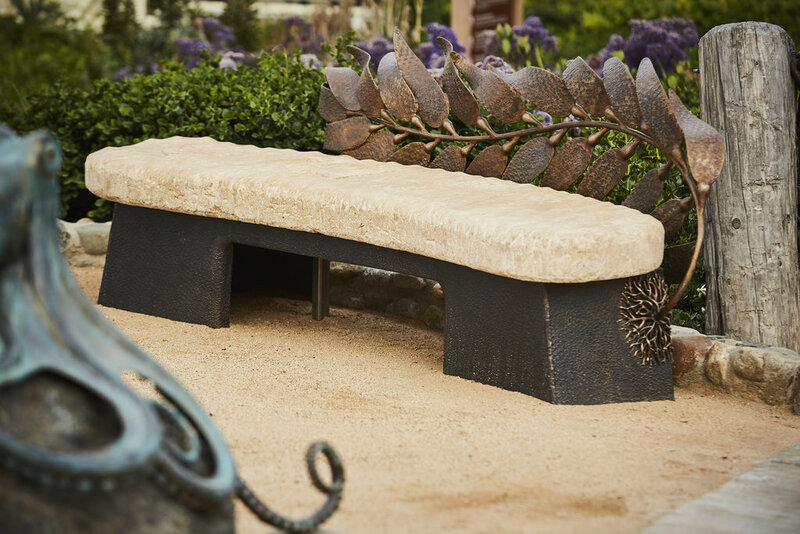 The stone is limestone from France, and carved on the bench is a halibut in the sand. 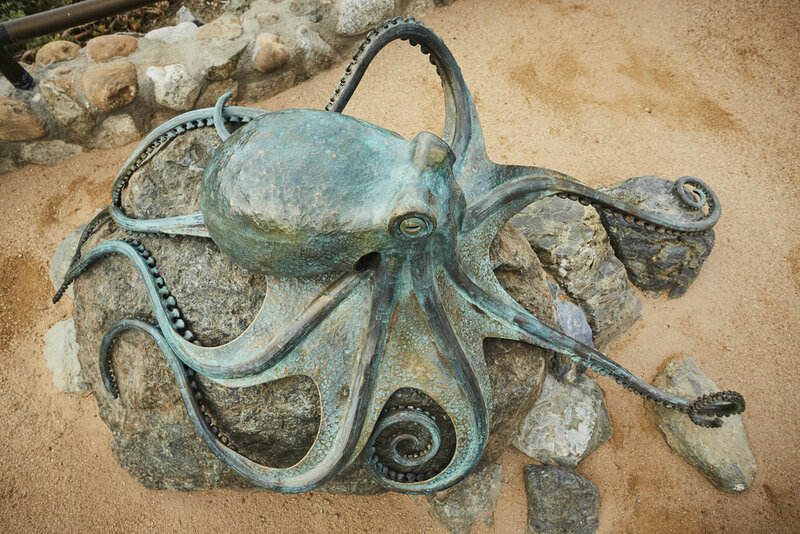 “Tide Pool Kraken” faces the “Strand of Life” and features an octopus perched on a mass of stones. 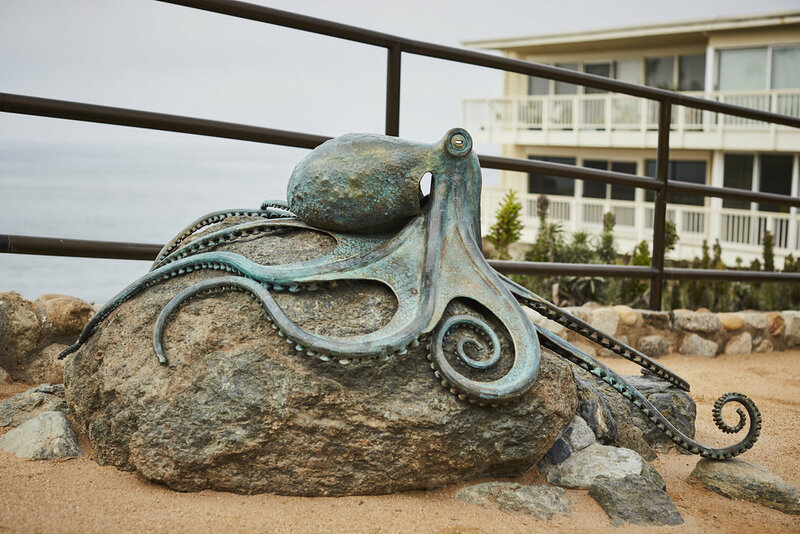 The goal of this piece was to celebrate Laguna’s coastal ecology. 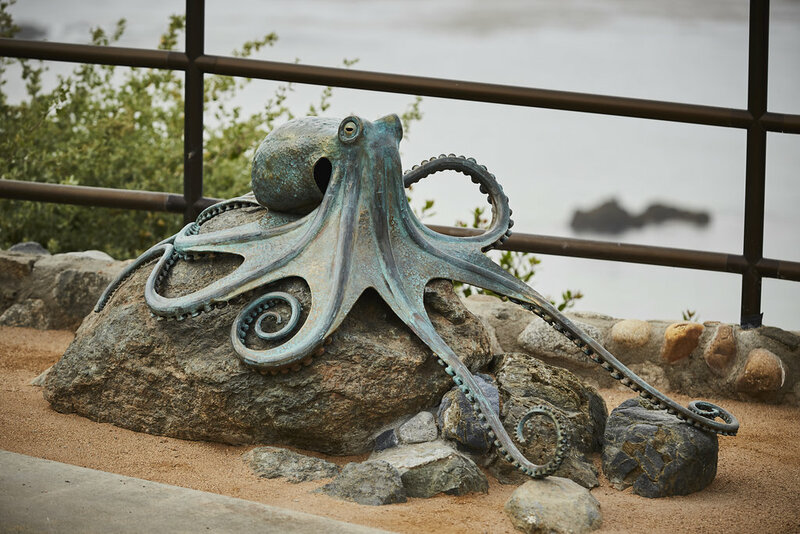 In the scale of their tiny tide pool worlds, in Laguna and elsewhere, octopuses are the biggest thing going, taking on almost magical qualities. 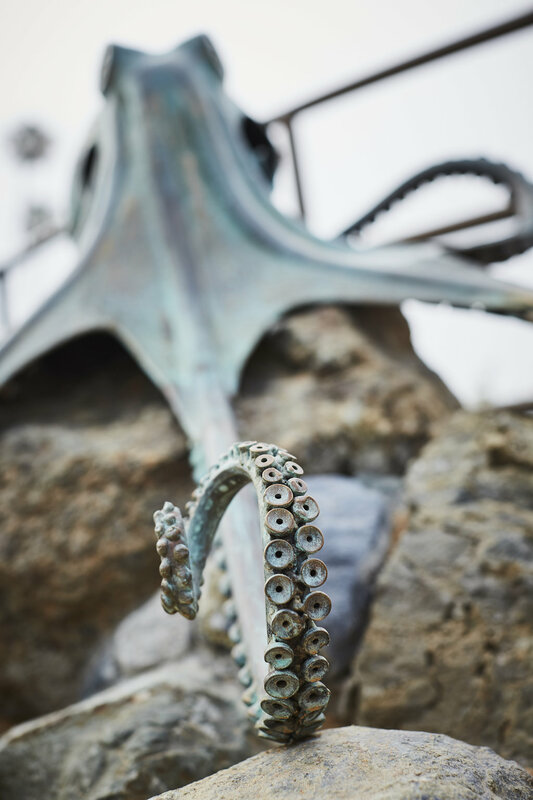 “Tide Pool Kraken” was forged, hammered and welded from sheet bronze and bronze rod, and includes nearly 800 suction cups made from bronze washers.